With two branches, one located on the East Rand and the other in Pretoria East, we specialise in the Physical Rehabilitation of dogs, cats and now horses. 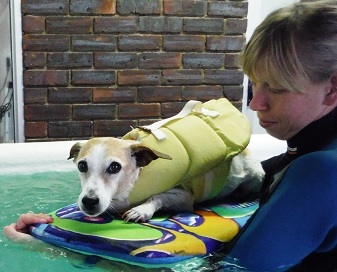 Our small animal services include Canine Hydrotherapy, Feline Hydrotherapy, Veterinary Acupuncture, Light Therapy, Thermotherapy, Cryotherapy, Massage and many other options. Our equine services include veterinary acupuncture, sports massage and body work, as well as post op/injury rehabilitation among others. Visit our services page to find out more. We are owned and run by qualified veterinarian Dr Tanya Grantham. Do you have an Animal Companion who is ailing, ageing or injured? Are you concerned about the wellbeing of your canine or feline companion? Has your animal companion undergone surgery? Or is surgery looming on the horizon? Is your animal companion suffering from a recurring work/sports related injury? Is your animal companion suffering from paralysis or limited range of motion? Is your animal companion obese? Have diabetes? Unfit? Have a heart or joint condition? Is your animal companion ageing and battling to get around? Has your animal companion received a terminal diagnosis? Animal physical therapy can offer a number of non-traditional medical interventions to help you rebuild the quality of life your animal companion deserves.